BARBADOS (January 18, 2017) – The Terra Group of Companies, a well-established and reputable real estate leader in Barbados serving all market segments through its brands Terra Caribbean, Terra Luxury and Blue Sky Luxury, today announced the release of its annual Barbados real estate insights publication, The Red Book 2017®. 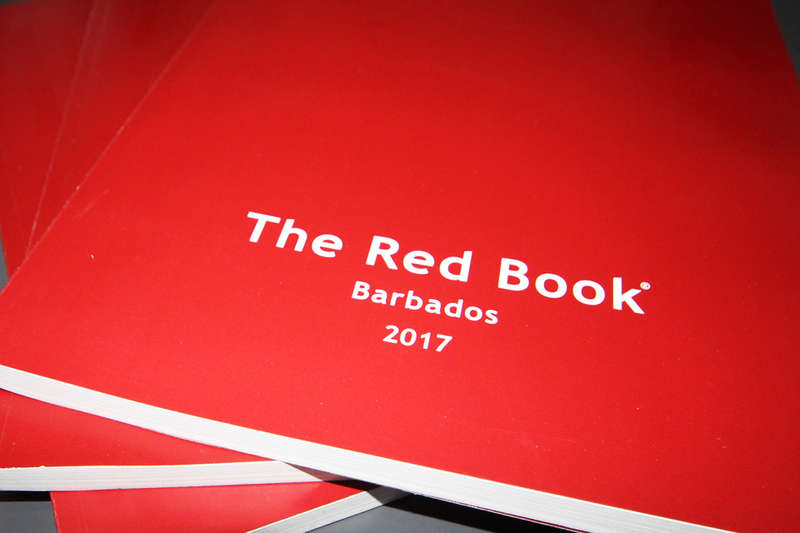 This year’s release marks the 10th anniversary edition of the Red Book® and perfectly coincides with 50 years of independence of Barbados. To commemorate these milestones, the publication offers impressive market data dating back to 1966, and informs readers with specific insights on how Barbados real estate has evolved since the Book’s first release in 2008. Some feature editorials of the Red Book® this year include an in-depth article by Chief Operating Officer, Hayden Hutton, that inspects the evolution of each real estate market segment over the last decade. There is also another key article that sheds light on two critical tourist trends that are changing the landscape of short-term rentals on the island. Readers, investors and clients can further appreciate other compelling insights on the luxury property market, facility management services, and corporate real estate. “Once thought stable and predictable, the real estate market in Barbados has changed significantly and continues to evolve as local and geopolitical factors unfold. As our team studied the last 10 years of real estate in Barbados, and even into the 1960s, to produce this year’s Red Book®, it’s become even more evident that accurate and timely information is critical to our clients and the broader market. We’re humbled that The Red Book continues to be the go-to resource that informs some of the most important real estate decisions on the island,” explains Hayden Hutton, Chief Operating Officer at the Terra Group of Companies. The release of The Red Book® coincides with the Group’s recent launch of the new website for Terra Caribbean. Clients are invited to experience the difference of a superior online viewing experience with full-screen images, a bespoke presentation of exclusive properties through SEO-enhanced microsites, and an intuitive seller’s dashboard that offers one-click access to information throughout a property’s sale. The Terra Group of Companies offers clients a comprehensive suite of real estate and holiday rental services through its brands Terra Caribbean, Terra Luxury, and Blue Sky Luxury. Dedicated teams and resources serve each segment of the Barbados real estate market, including sales, long-term rentals, property and facility management, holiday rentals, and advisory and valuations. The Terra Group offers clients over 60 years of real-estate experience and a passion for accumulating, banking and then sharing knowledge to ensure that clients feel comfortable and confident making informed decisions. The Terra Group continues to actively invest in knowledge, resources and new initiatives to refine its portfolio of real estate services and to better serve its clients.